Sriracha has developed a serious cult following in recent years, but this recipe means you can make the Thai sauce from scratch at home. 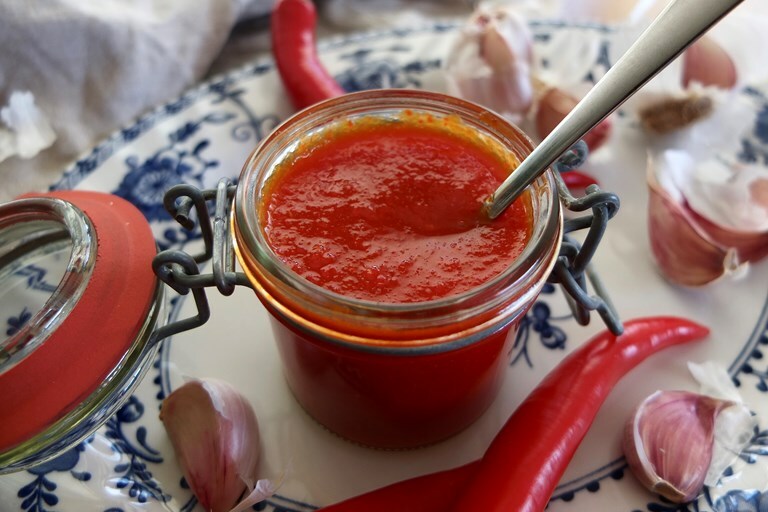 Fermenting the chillies for three days is the key to developing the sweet, hot, tangy flavours that have made this such a popular condiment. Take a look at all of Helen's hot sauce recipes here. Debate is still raging over the exact origins of this Thai hot sauce, and there are several different stories about who invented it. Made from chillies, garlic and vinegar it’s like a spicy, garlicky ketchup and has become something of a cult product. The chillies and garlic are given a brief three-day ferment with some sugar to boost the process a little bit, then blended into the classic smooth sauce we’re familiar with. The homemade product blows the bottled stuff out of the water, and is very simple to make. This recipe makes about 1 litre.